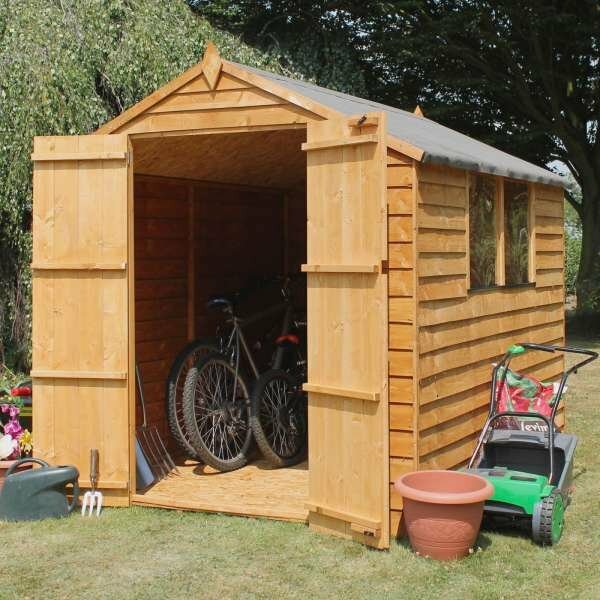 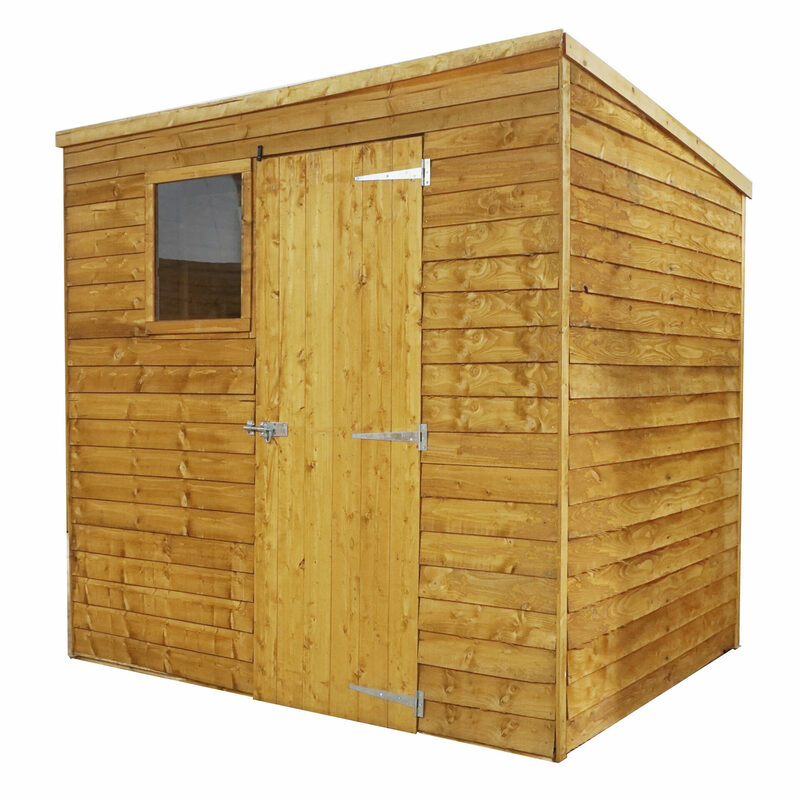 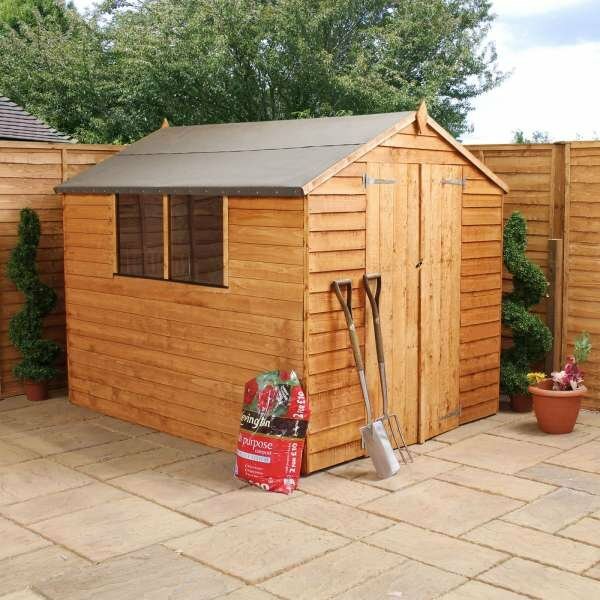 Both attractive and affordable, what’s not to love about this 8 x 8 Overlap Apex Sheds range? 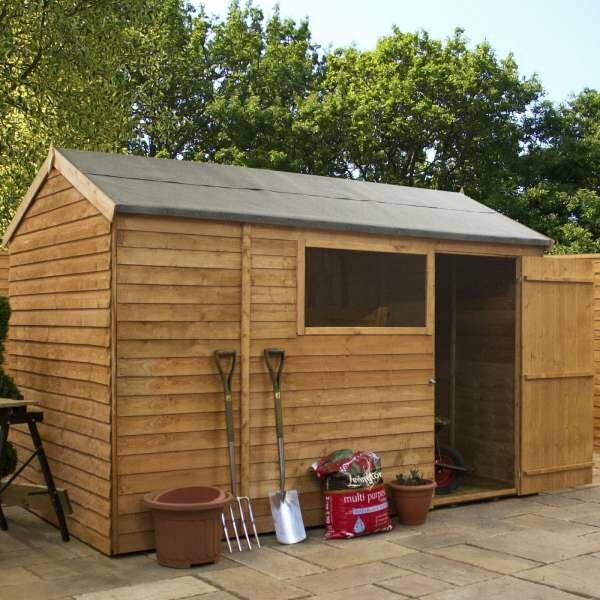 Just be wary: you may be the envy of all the neighbours for a while. 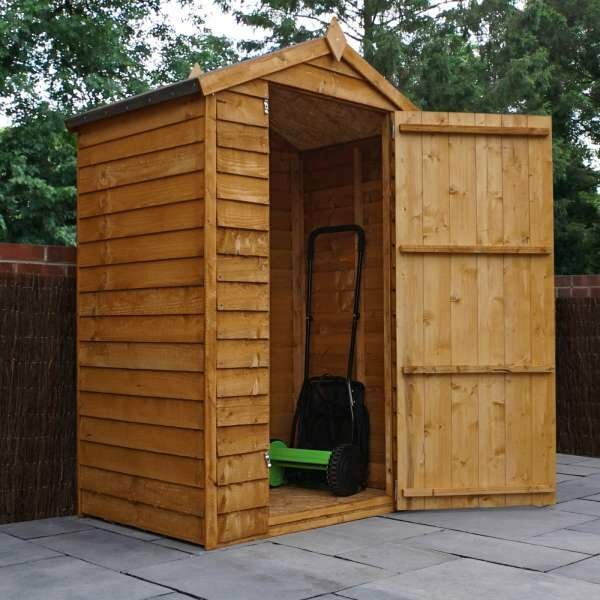 The double doors on this shed make it easy to gain access to the great amount of storage room it offers. Getting bulkier items in and out is so much easier with doors like this. 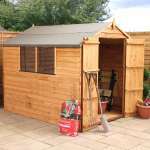 The 7mm overlap cladding is both good-looking and practical. 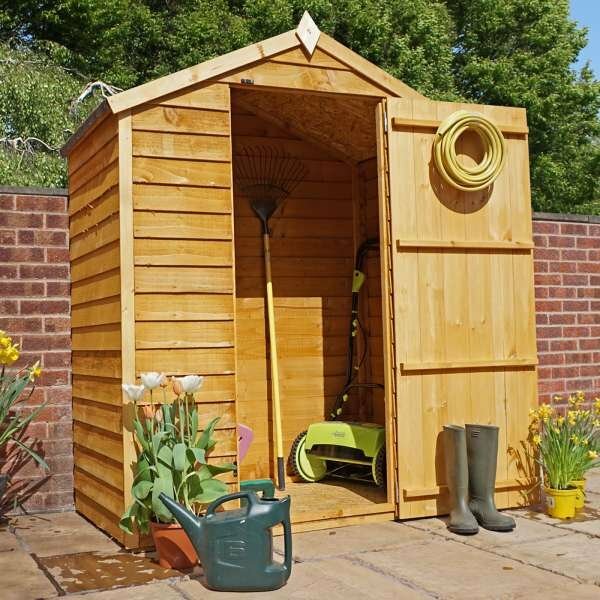 You won’t need to worry about rain water penetrating this shed. 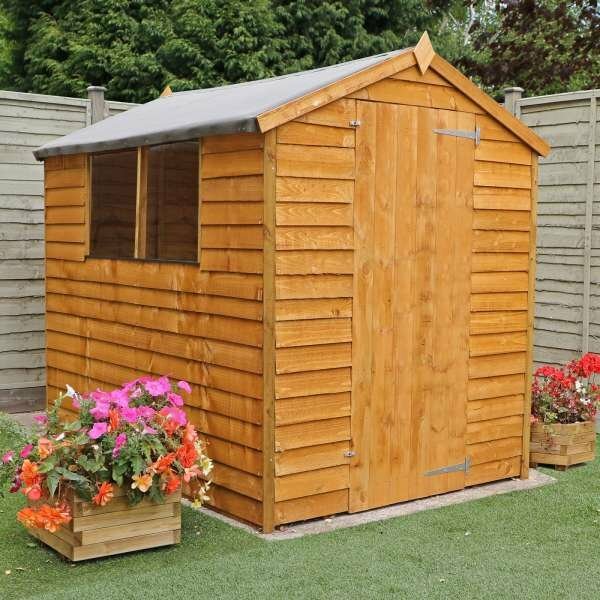 It also features a 10mm solid sheet floor and 8mm solid sheet roof. 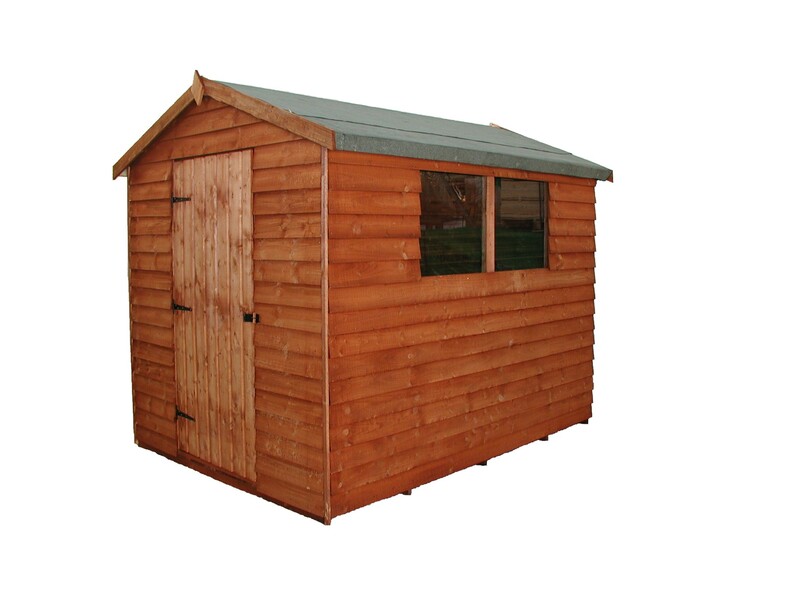 The styrene glazed windows make it easy to turn this shed into a working space, with plenty of light flooding through. 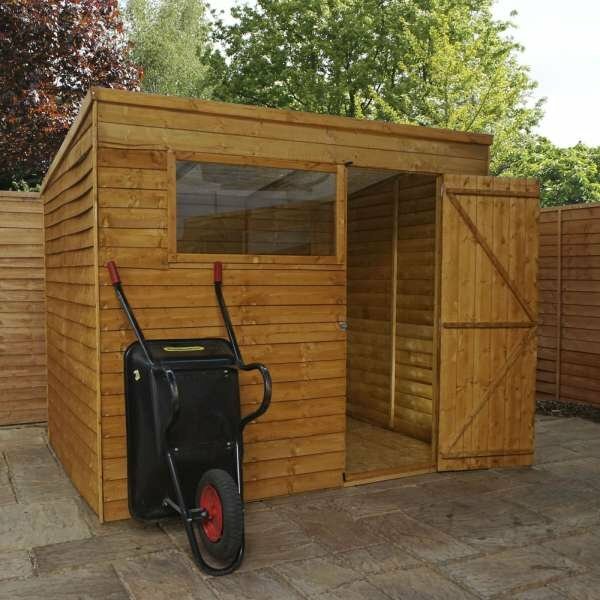 Available options: 8×8 Overlap Apex Sheds, 8×8 Overlap Apex Sheds With Installation.